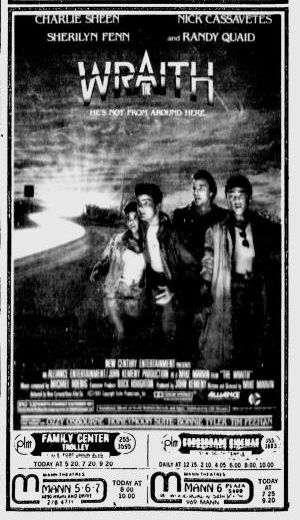 Back on November 28, 1986, this ad was published in The Deseret News for The Wraith. How could the people in the sleepy town of Salt Lake City know what awesome-ness lay within? And why isn’t the CAR on the ad?